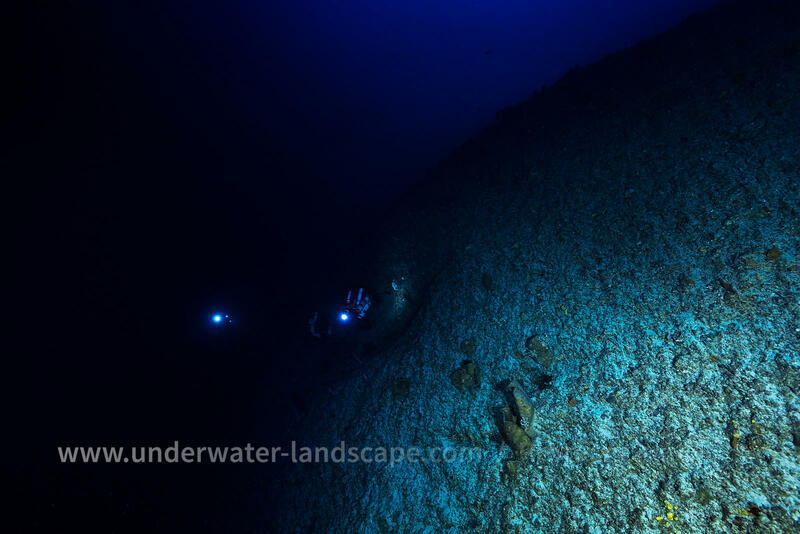 Photo taken at a depth of 115 meters. We are on the 3rd drop that forms an angle of about 10 ° to the vertical. We distinguish a stop at 130 or 140 meters deep, we think it is totally vertical from. 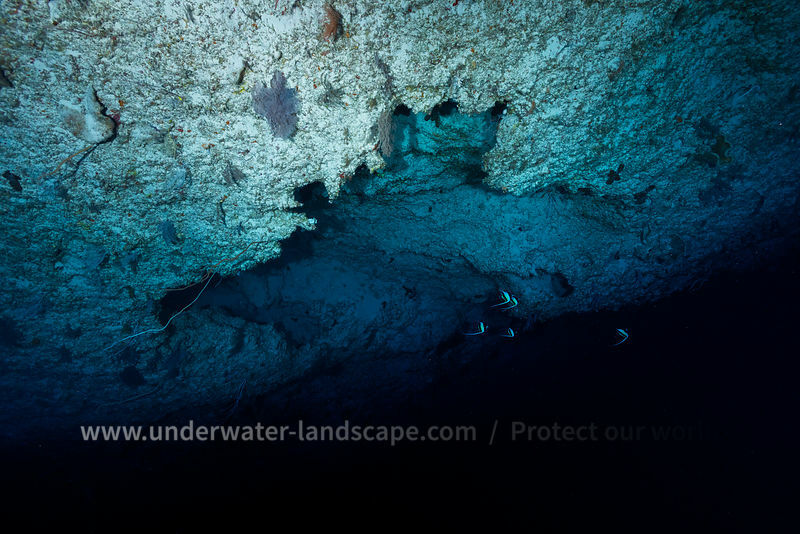 this depth and up to about 200 m. As can be seen, the fall is not colonized. Only a few sponges in the shape of an elephant ear and some corals whip its present. On the other hand, life abounds with the smallest cavity as present in this picture.